Enjoy this 3 week cruise through the Pacific Northwest and Alaska aboard the classicly elegant ms Maasdam. Featuring a copious itinerary with visits to ports other cruise lines do not visit, you're sure to experience Alaska like no other. Plus, this sailing begins and ends in San Francisco, so for you Bay Area residents out there, the travelling couln't get any easier. *Plus Taxes, Fees and Port Expenses US$690. Taxes, Fees & Port Expenses are subject to change and Holland America reserves the right to collect any increases in effect at the time of sailing even if the fare has already been paid in full. 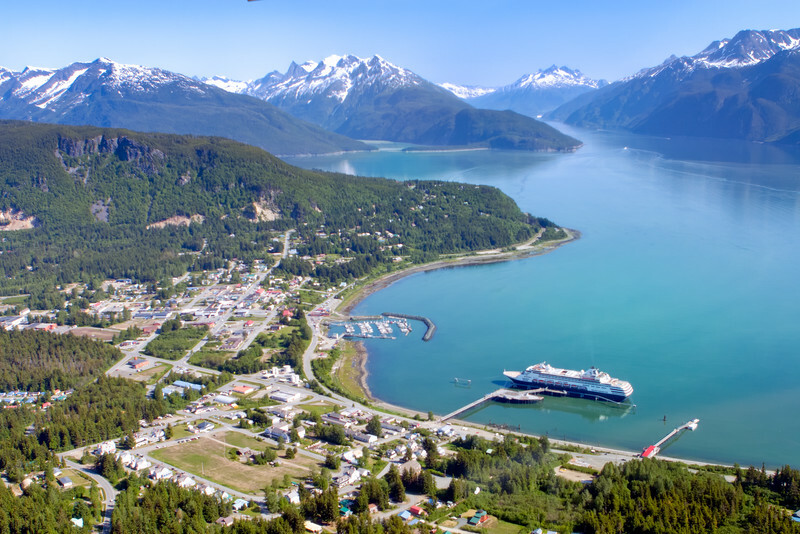 etchikan, one of Alaska's most Southeastern cities, is the first stop for many cruises on their way to more Northern climes. 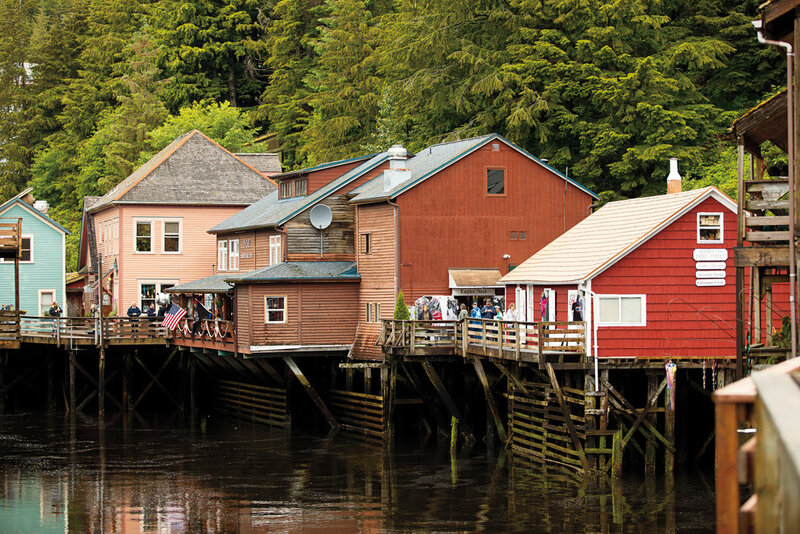 A stay in Ketchikan itself can be rewarding, however, as the city is the gateway to Misty Fjords National Monument, an area so beautiful, it is known as "The Yosemite of the North." With steep valleys formed by glaciers and lava flows left by volcanic activity, Misty Fjords offers gorgeous views of natural formations, all reflected in the calm waters of Pacific inlets. The city of Sitka, located on Baranof Island along the Alaska Panhandle, was once the capital of Russian America. Nearby Sitka National Historical Park was established to commemorate the Battle of Sitka in 1804, the last major conflict between Europeans and the native Alaskans. The park now helps preserve the culture of the Tlingit people, as well as the Russian and American settlers, with collections of rare artifacts, the preserved remains of the Tlingit fort and a Russian Bishop's House. First mapped in 1895, Hubbard is considered the largest tidewater glacier in North America. Valdez is the Activity Center for Prince William Sound: a mix of tidewater glaciers, rainforests, and majestic mountains, wildlife on both land and sea and so much more. Set amid the coastal Chugach Mountains, Anchorage defies popular visions of polar ice caps and frozen tundra. It’s also warmer than you think (averaging 65 degrees in summer), making conditions ideal for sight-seeing or taking on uniquely Alaskan opportunities like arctic biking or touring the fjords of Prince William Sound. In the winter, you can ski, dogsled or do both simultaneously by "skijoring," which is cross-country skiing while being towed by a dog. Hey, it's no crazier a winter sport than the biathlon. Homer is a nature lover's nirvana where common sights can include moose grazing, a black bear crossing the road or porpoises playing in the surf. 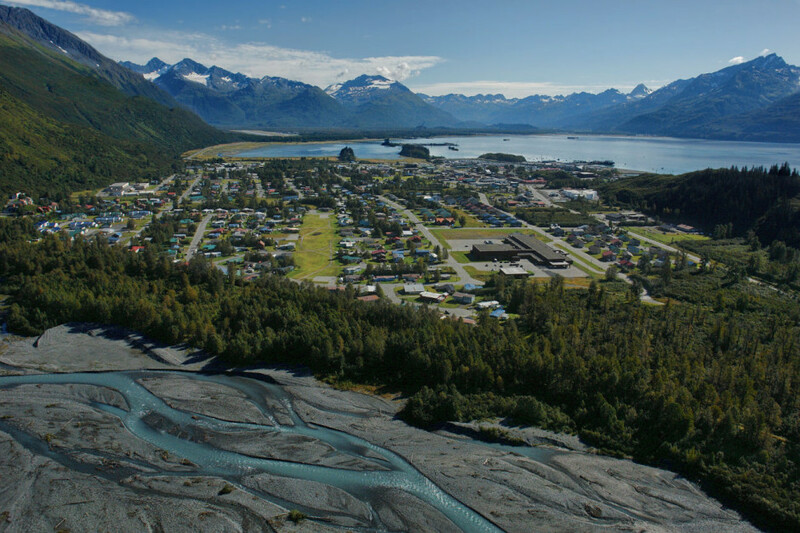 The charming seaside city, overlooking Kachemak Bay and the Kenai Mountains, can be the starting point for a multitude of exciting adventures, including glacier skiing and viewing and guided kayak tours. Naturally splendid Kachemak State Park offers even more outdoor fun, with miles of excellent backcountry hiking trails. Explore nearby Halibut Cove, a unique fishing and artists' enclave where the roads are made of water. Or head to downtown Homer to sample delicious seafood, art galleries, museums and shops that sell locally made crafts. A trip to Homer would not be complete without casting a rod for salmon or halibut, the area's major catches. Head to the Homer Spit and try your luck from the shore or join a chartered fishing boat excursion. No matter which activities you choose, a weekend in Homer is sure to be an unforgettable experience. Kake boasts, by many accounts, the largest totem pole in the world, carved out of a single tree. This is the place to come if you’d like to utterly relax and experience a truly Authentic Alaska experience. A popular cruise port, Haines is a great place to see the outdoors – hiking, fishing and wildlife viewing are all popular activities. A top local attraction is the decommissioned military outpost of Fort Seward, now an historic landmark. Bird watchers take note: the world's largest concentration of bald eagles comes to the area every autumn. Wildlife abounds in the area of Wrengell. A variety of excursions get you up close to glaciers, black and brown bears, eagles, sea lions, harbor seals, whales, salmon and halibut to name a few. Anan Bear and Wildlife Observatory is favorite spot to view brown and black bears feasting on salmon. If history and cultural influences interest you, visit the Tlingit Chief Shakes Island and Tribal House Historic Monument, and Petroglyph Beach State Historic Park. Travel the Stikine River to visit the places where gold miners camped and garnets were mined, and see the abundant wildlife that lured the Hudson Bay Company to establish a settlement. Historic Astoria is the oldest American settlement west of the Rocky Mountains, first established as a fur trading post before it expanded to become the bustling port city it is today. Its storied past is documented in numerous museums, from the Columbia River Maritime Museum with its collection of nautical relics to the Uppertown Firefighters Museum, whose collections of firefighting memorabilia is complimented by the interactive Children's Museum on the second floor. 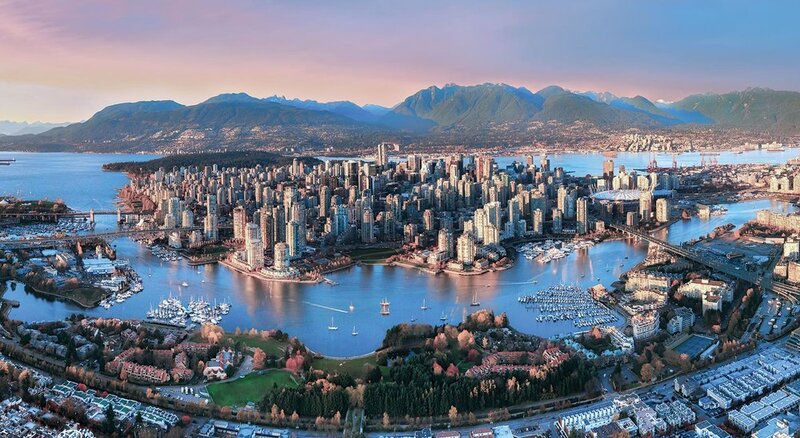 Vancouver was founded as “Gastown” by an Englishman with a penchant for beer and storytelling. Today Gastown is a historic section of the Canadian metropolis, and the lively pubs still reflect the area’s former status as a sort of community drinking center. The city’s forests, grand parks, and impressive suspension bridge beckon travelers to explore them, as do the city’s shops and museums. Relive the glory of the 2010 Winter Games with visits to Olympic venues and the marvelous Olympic Cauldron. Victoria is a thriving city of heritage architecture and time-honored traditions like afternoon tea. With the ocean at its doorstep and wilderness in its backyard, it’s also a perfect place for outdoor enthusiasts. You can find everything from a world-class science and natural history museum to a blooming public park where peacocks roam freely, plus a range of unique shops, cafes and restaurants. And more cycling routes than any other Canadian city, providing a great way to explore the scenery. This lively seaport town, the largest coastal city between San Francisco and Portland, Oregon, has split-personality charm: a sense of history in the handsomely restored, Victorian-era Old Town district, a still-working seaport where crusty fishing boats chug in and out of a protected harbor, logging trucks rumbling through town, and an eco-conscious college vibe thanks to Humboldt State, in the nearby town of Arcata. Hundreds of ornate 19th-century homes, like the Carson Mansion, a paragon of Queen Anne architecture now housing a private club at the end of Second Street, reflect the prosperity of Eureka’s formative years, when lumber was king. The entire city is a state historic landmark, a captivating mix of nature and culture with a small-town feel.